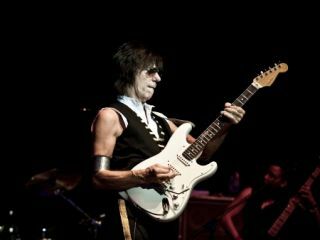 Jeff Beck has announced a rare intimate gig at O2 Academy Bournemouth on 11 June in preparation for his forthcoming European tour. The show will see Jeff appear with his full band (Jason Rebello, Rhonda Smith and Narada Michael Walden) before they kick the tour off properly at the Isle Of Wight Festival the following evening. The European tour follows two strong releases from Beck in the past year after he released the triple Grammy Award winning 'Emotion And Commotion' in 2010 and more recently his stunning tribute to Les Paul, 'Rock 'n' Roll Party'. Tickets for Jeff Beck And His Band at O2 Academy Bournemouth are £26.50 and on sale on now from ticketweb.co.uk or 0844 477 2000.